Goza Middle School is pleased to announce that three students were invited to attend the Duke Tip Talent Investigation Program Arkansas Recognition Ceremony on May 9 at the University of Arkansas at Little Rock for their outstanding scores on the ACT test as 7th graders. 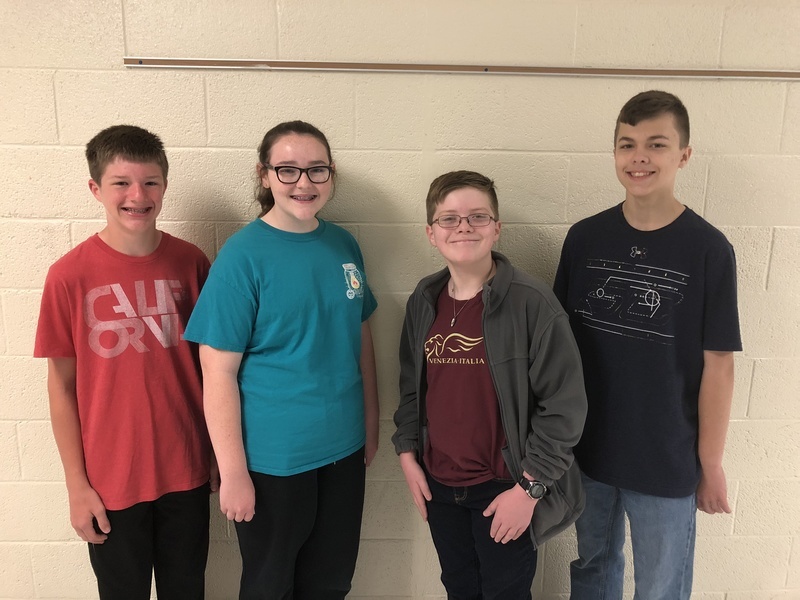 These students are Seth Campbell, Calvin Clardy, Olivia Fenocchi, and Owen Morgan. In addition, Campbell was awarded Grand status and is invited to attend the recognition ceremony at Duke University this May. Nancy Mortensen was Duke TIP sponsor. According to their website, the Duke University Talent Identification Program is dedicated to being a global leader in identifying academically talented students and providing innovative programs to support the development of their optimal educational potential. Seventh grade students are invited to participate if they achieve a qualifying score at or above the 95th percentile on an accepted grade-level national standardized achievement or abilities test. Upon enrollment, Duke TIP registers this select group to take the ACT or the SAT college entrance exam alongside high school students. After receiving recognition of scores, Talent Search participants can also elect to attend TIP's renowned residential programs, which challenge gifted students academically within a uniquely supportive social community. Students who receive highest scores qualify to be recognized at an Awards Presentation at ULAR the following May. For more information, visit tip.duke.edu/.